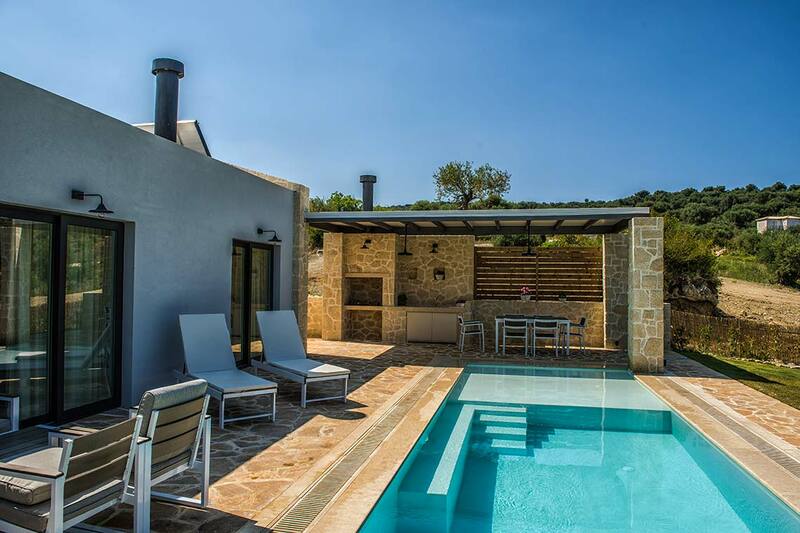 These three new villas feature a private garden with a private swimming pool of 42 m2, sunbeds and a barbecue. 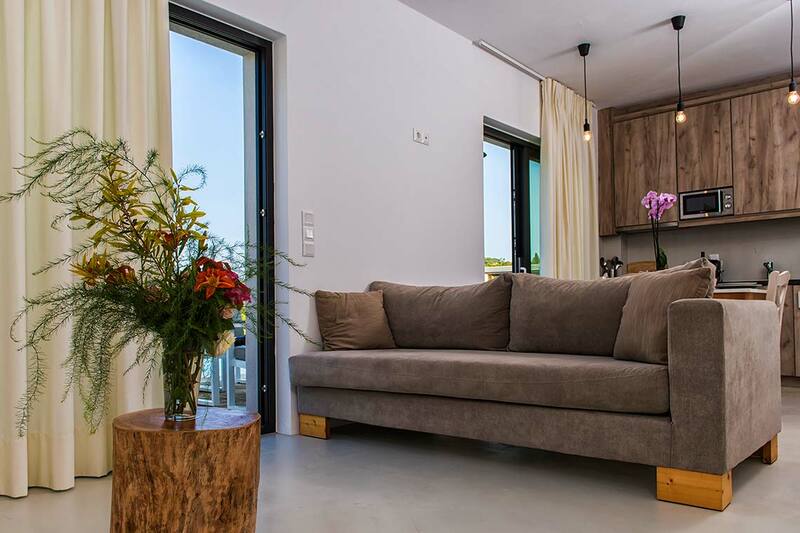 The villas have a spacious living room with fireplace, two sofas, flat screen TV, radio and DVD player. There is an open kitchen with a refrigerator, freezer, 4-burner stove, coffee maker, microwave, toaster and dishwasher. 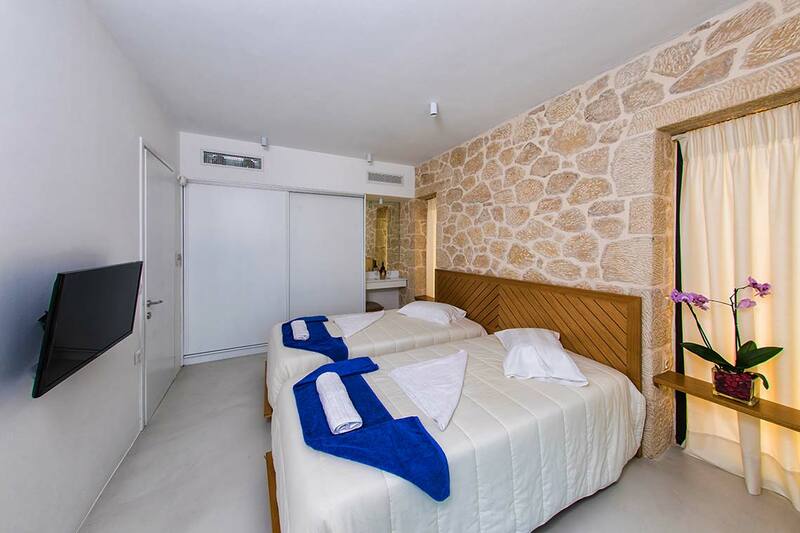 The villas are ideal for families with children. Our Villas at Arillas Corfu can offer you a wide variety of services in order to have the most luxurious and peaceful holidays. 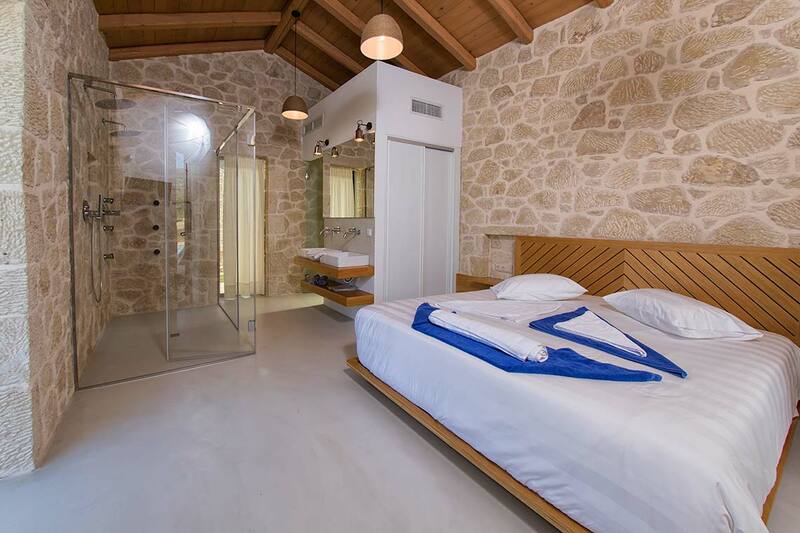 Check out our newly built and fully equipped villas, see the services and facilites we offer, fill in the reservation form with your personal information and the days you are interested for a booking and complete an online reservation through email. We will respond to you as soon as possible. Discover our beautiful island and especially our location North Corfu and Arillas. Corfu is a Greek island in the Ionian Sea. It is the second largest of the Ionian Islands. The island is part of the Corfu peripheral unit, and is administrated as a single municipality. The municipality includes and the smaller islands Ereikoussa, Mathraki and Othonoi. Arillas, is situated at the North-Western part of Corfu island. The area of Arillas without being commercialized keeps it s genuine character still, with a variety of small local family-run tavernas and shops, so that it can satisfy even the most demanding clients. 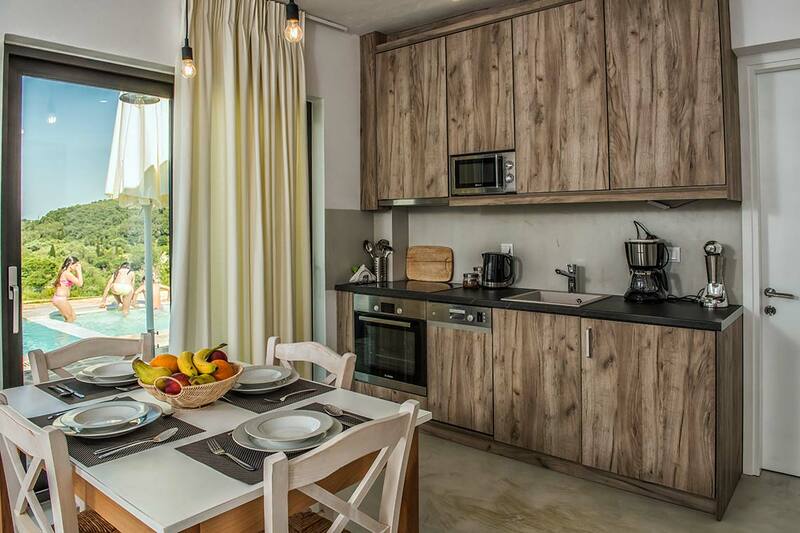 Mega Lithari, Arillas, Corfu - The villas are located near supermarkets, shops and restaurants.